You might think of reading news sources over the past couple years, this has a history of public discussion. Certainly you should before challenging for a possible debate on the issue. thanks for catching the typo, fixed! That nature has a much much more limited range of mutations to choose from, since we are talking about those arising within a given species, which are also pretty efficiently screened off by natural selection. Genetic engineers, by contrast, can sample from whatever gene, in whatever organism, independently of developmental context and evolutionary history. If that’s not a qualitative difference I don’t know what is. Yes, they can. And so far, from the point of view of public health, they have been. But that’s not my point. My point is that “skeptics” shouldn’t make cavalier comparisons, badly informed by scientific understanding, just to score rhetorical points. Charlie, that book review link I posted (Massimo, if you don’t recognize the author’s name, that’s Susan Sontag’s son) will have some more info along Massimo’s lines. And, something I have blogged about before. Grist, a known environmental mag, wrote a series of news briefs about 3 years ago called “Panic-Free GMOs.” Again, this is Grist, a known environmentalist magazine. Summary? Two-third of what many people want to panic about has ZERO true level of concern. About 1/4 has minor levels of concern, and about 1/12 has modest-moderate levels of concern. It also refutes claims that GMOs aren’t tested, etc. For me, the set of pieces is an acid test on anti-GMOers. If they engage in “motivated reasoning” to pooh-pooh even Grist, then they’re in the tank. What sorts of testing do you think transgenic plants should undergo that they’re not? It would be nice it effects of an insecticide producing plants were checked on insects other than the targets, before the plant is planted in mass. The companies should not be in charge of formulating the test, performing the testing or interpreting it. They should, of course, pay for it. Some truly independent agency and their contractors need to be in charge. This applies, of course, to conventional insecticides and weed killers, medicine, etc. 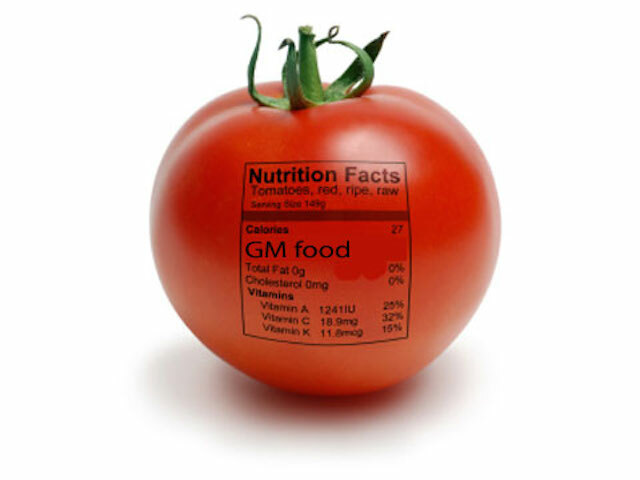 not just GMOs. In this regard GMOs are not special. And GMOs and other genetic engineering have too much potential for good to just abandon them in a panic. However, nobody, neither proponents nor opponents, should be using bogus arguments like ‘it’s just like X’ – but they will. I know some young ladies who are neither obese who were feed organic diets w/o any GMOs or feed additives that still develop early puberty. Could it be good nutrition? I kind of doubt it, but 2nd/3rd generation American Japanese are bigger than their parents, though I guess that could be the growth Hormones in the cows (apparently not chickens) at least in part. If I remember correctly, the various delta endotoxin based insect resistance traits (also known as Cry proteins or simply referred to as BT traits) tend to express poorly in pollen (this would not have been the case with the particular trait which caused concern about monarch butterflies in the 90s). Anyone reading this who knows otherwise, please correct me if I am mistaken. That means that unless you are an insect actively eating these plants you are probably going to be unaffected. The toxins also have some degree of specificity but it is broad. They tend to have maximum toxicity limited to broad phylogenetic groups like lepidoptera or coleoptera or diptera. That is, as an example, there is no Cry toxin to specifically kill the European corn borer and no other insect; instead, there are Cry toxins which affect larvae of moths and butterflies. As for independent testing, I don’t believe any is required but it happens anyway. Generally, companies will have a lot of in house testing during the development process and when they feel something is ready they will contract outside laboratories to confirm findings. I second SocraticGadfly’s recommendation for the Grist series. A good place to begin there would be his 20 GMO questions. That will allow you to quickly hone in on a specific concern and use that section to jump to the more specific article or articles. I can’t promise that it will address every anti-GMO talking point but it seems to hit most of the bigger ones. Oh, that’s part of it too. And, hormone laced beef may be a contributor to that part, yes. But explains the skinny young ladies with the hippy-dippy parents? I don’t think, contractors hired by the companies count as independent It doesn’t have to be explicit; a company that gets the wrong answer too many times is likely not to be hired again. So if things are bad enough an honest contractor may well report it, but their likely have a bias in more ambiguous cases. 3. Quality as well as quantity of food. On the first, a recent study showed that, by glycemic load, individuals can vary widely on what an actual glycemic load is for them from an individual food, vs. index values. One person (no, Dan, this is n = 1 territory) actually had alcohol as a nutritional substance. epigenetics … I like it. Lamarck wasn’t as wrong as we thought .. Someday we might even be able to test this hypothesis. Well, actually no, he was wrong. Modern epigenetics, despite some claims to the contrary, has very little to do with Lamarck. Could it explain Kostler’s midnight toad? I think not, it’s likely BS. Of coarse Lamarck was wrong and Lysenko even more so, but it does illustrate the dangers of such things as the Central Dogma of Biology.. So what you are claiming is that testing that is necessary for analogous products isn’t being done on transgenic ones but you haven’t explained which tests these are. I have a feeling you don’t know what tests are lacking. Many biotech products have standards of safety and are subject to regulations appropriate to that. I don’t know what kind of testing is good enough besides simply controlled field exposure but the real complaint should be directed at the government for levying regulations and specifically what kind. It’s not just vacuously complaining that Monsanto is evil. All corporations are amoral. And, some corporations can use means to extend their power that can be judged morally, and in some cases, found wanting. Nano: Second, I believe Massimo’s main moral complaint about such companies isn’t whether or not Class V transgenics need more or different testing; it’s about the business side of some such companies. I know that that’s a concern of mine. The point I was trying to make is perhaps not as strong that ‘all corporations are evil’ as that they all need independent regulation (not just GMOs). As noted before I’m not intrinsically opposed to GMOs. Yes, sometimes regulators have done a good job and sometimes they’ve been captured by the industry. a Though those were imposed by Congress rather than worked out by the agency. As I understand it corporations were originally made by the courts ‘legal persons’ so they would have the right to enter into contracts and such and could be held accountable for not fulfilling them. I thought it was Molly Ivins, but it seems it was Al in his previous life. Actually, Texas may not have that many it could execute; most biggies are incorporated in Delaware. No real danger here. The Central “Dogma” has always been fuzzier than the word “dogma” would suggest. Every one of your nucleated cells is contradicting the dogma by expressing telomerase (albeit, probably at very low levels) since the function of this enzyme is to create a DNA cap from an RNA template (in other words, the resulting information flow is opposite than that described by the Central Dogma). Lamarck mentioned, actually, prions would be more support for Lamarckian ideas than epigenetics. That said, even if they could affect germ cells in a way to specifically change genetic heritability (and there’s no proof of that), it wouldn’t be by an “acquired characteristic” in the way Lamarck meant. Nor is epigenetics. Certainly with something like “mad cow disease,” prions are not causing desirable changes; many epigenetic “tags” that are heritable, such as anxiety susceptibility or whatnot, are also, at least seemingly, not evolutionarily desirable changes. Lamarck mentioned, actually, prions would be more support for Lamarckian ideas than epigenetics. That said, even if they could affect germ cells in a way to specifically change genetic heritability (and there’s no proof of that), it wouldn’t be by an “acquired characteristic” in the way Lamarck meant. If you want actual acquired characteristics, examples exist. The one that is most ubiquitously covered these days is CRISPR*. I can’t remember other examples but I’m pretty sure they exist. Of course, this does not work “in the way Lamark meant” but I am unaware of ever coming across anything that does. * In rare cases, a bacterium with this system may capture a piece of a viral invader’s DNA & incorporate its sequence into their genome where it is used as a template for a “seek & destroy” type mechanism which defends against that sequence. This has the effect of defending against this virus and of rendering the bacteria’s progeny immune against future attacks of this virus. cases like the one you mention do exist, but I don’t see in what sense they are Lamarckian. Part of the problem is that Lamarck wrote in very obscure, pre-Darwin, pre-Mendel, 18th century French. I doubt many people know exactly what he meant. And, from what I’ve read about Lamarck, he also did a fair amount of mind-changing during his life on just exactly what he meant. Just click if it doesn’t show as a picture. I think as skeptics its great to see posts like this that make us question our own assumptions and provide a wake-up-call to our cognitive blind spots. cases like the one you mention do exist, but I don’t see in what sense they are Lamarckian. I think what I had in mind when I was referring to such cases would be bacterial stress responses which result in increased mutation rates. Even though I have seen this portrayed as Lamarkian, it is still a quirky (if surprising) variation on Darwinism. The specific mutations are not directed by a response to the environment. We are still seeing variation that is random (and the environment gets to pick from those by means of the differential survival of descendants). The most one could say is that these mechanisms may produce a bias against stabilizing selection in that during times when stabilizing selection pressure dominates (whatever bacteria are doing is working and no stress response is produced) the mutation rate is lower than during times when stabilizing pressure does not dominate (whatever bacteria are doing is not working and a stress response produced). Part of the problem is that Lamarck wrote in very obscure, pre-Darwin, pre-Mendel, 18th century French. I doubt many people know exactly what he meant. Yes, exactly. Maybe I don’t know exactly what he meant myself? My idea is, more or less, the one expressed by synred’s cartoon at https://drive.google.com/file/d/0B0Ma4zkWrI1LNjllMzd3X3ZGRWM/view?usp=sharing. I view it as vitalistic, as including a life force that is capable of bodily changing living organisms such that said changes that have been imprinted on an organism by this vital force can be transmitted to progeny*. The giraffes strive to reach higher branches and such striving actively produces a longer neck. This increased neck length can then be transmitted to offspring. Of course, if that is your conception of Lamarkism it seems clear to me that the classic experiment of chopping off the tails of successive generations of mice to see if they would eventually be born without a tail does nothing to disprove it. In that experiment, mice are losing their tails, not because some vital force or striving from within them is willing their tails away but because an experimenter is chopping them off. That experiment would be a case of arriving to a correct conclusion for the wrong reason. Exactly, and the same goes for any other food item, “natural” or not. That’s why we need good monitoring of the entire food industry, regardless of whether we are talking GMOs or not. At bottom Lamarckism is the combination of two ideas: that there is an internal force that makes it possible for organisms to actively respond to environmental challenges; and that the changes thereby obtained are heritable. And yes, experiments of the “chop-the-tail-off” variety miss the point, since Lamarck talked about an internal, active response, not an injury imposed from the outside.